A very fine, hot summer. We harvested at the end of September. Biggest harvest in terms of quantity since 1904. For any enquiry regarding the Site, please contact us by sending a message via the contact form. The Site is edited by MHCS, a French company with share capital of 433 193 789 euros, having its registered address at 9 Avenue de Champagne 51200 EPERNAY, France, registered under n° 509 553 459 RCS Reims (the "Company"). Any use of this Site by any person ("you" or the "user") is governed by these terms & conditions of use (Terms & Conditions"). The purpose of these Terms & Conditions is to define the conditions of access, navigation and use of the Site. By accessing and using this Site, you accept without restriction to apply these Terms & Conditions as well as the provisions concerning the protection of personal data (read the Privacy notice & Cookies). The Company may revise or update these Terms & Conditions and the Privacy & Cookies Notice at any time and without notice. It is your responsibility to re-read these Terms & Conditions and the Privacy & Cookies Notice on a regular basis. The Company provides this Site only for people who have reached the legal age to consume and/or purchase alcoholic beverages (whichever is the higher) in their location of residence and provided that the consumption and/or purchase of alcoholic beverages is legal. If no such laws exist in your location of residence, you must be over 21 to access the Site. Necessary hardware and software to access Internet and this Site are under sole liability of the users. The Company reserves the right, in its absolute discretion, to suspend or terminate access or navigation to all or part of the Site and/or its content and/or the available services without prior notice and without entitling any user to claim any indemnity or compensation. It is forbidden to modify the software or any element of it or to use a modified version of the software, in order to obtain unauthorized access to the Site. The Site may include links to other websites or other internet sources. As the Company cannot control these websites and external sources, the Company cannot be held responsible for the provision or display of these websites and external sources, and may not be held liable for the content, advertising, products, services or any other material available on or from these websites or external sources. Furthermore, the Company cannot be held responsible for any demonstrated or alleged harm or losses resulting from (directly or indirectly) or in relation to the use of, or the fact of having had confidence in, the content, goods or services available on these websites or external sources. - to provide, when relevant, personal data being true, up-to-date and accurate. Users may not in any way represent or act on behalf of the Company, its subsidiaries, its affiliates and their respective shareholders, officers, directors, employees. When using the Site, users must behave responsibly, lawfully, with courtesy and respectful towards other users, the Company, its subsidiaries, affiliates and third parties. - sending or forwarding by e-mail or by any other mean any content of the Site to people under the legal alcohol drinking and/or purchasing age in their location of residence. Each user must comply with any and all applicable regulations, laws and rules related to user’s behaviour on the Internet and transmission of technical data. When relevant, the Company reserves the right in its absolute discretion to terminate or withdraw any user’s access to the Site without notice in case of breach of the user’s obligations under these Terms & Conditions and/or ancillary documentation, without prejudice to claim damages to such defaulting user. Users are solely liable of any content they may post or upload onto the Site and the consequences of disclosing, broadcasting, forwarding or making available such content. The Company does not adhere or approve any content, opinion, suggestion or notice generated by users and the Company declines any and all responsibility and liability in respect of any such content to the fullest extent permitted by applicable law. However, the Company reserves the right, but not the obligation, to monitor use of the Site and to remove any content which, in its sole discretion, would breach these Terms & Conditions, may be offensive, illegal or otherwise objectionable in any way. Users can report to the Company any inappropriate content by sending a message via the contact form. The Site and each of its elements (including all text, images, web pages, sound, video, designs, trademarks, logos and other material on or accessible via the Site) as well as any software required to be used in relation to the former, data bases and newsletters (the "Content"), may contain confidential information and information that is protected by intellectual property rights or other legislations. Unless otherwise expressly stated on the Site, the Company exclusively owns all intellectual property rights related to the Content and the Company does not grant any user with any license or other right other than a right to view the Site. The reproduction of the Content (in whole or in part) of the Site is authorized for the sole purpose of information for a personal and private use. Any reproduction or use or other exploitation of Content for any other purposes (whatever the manner or the kind) is expressly prohibited. Users must not copy, modify, create derivative pieces of work, assemble, decompile, assign, sub-licence or transfer in any way any content of the Site or any material (including software) related to the Site. The Company ensures the protection of personal information disclosed by users of the Site. The Company invites users to consult the Privacy Notice & Cookies which indicates the provisions implemented to guarantee the treatment of personal data. Collection, processing, use, transmission, keeping and protection of users’ personal information are governed by the Privacy Notice & Cookies. The Company endeavors to ensure as far as possible, that the information provided on this Site is correct and up-to-date. However, the Company cannot guarantee the correctness, accuracy or exhaustiveness of the information provided on the Site. • and more generally, for any direct or indirect or consequential harm, loss or damage, whatever the cause, origin, nature or consequences, which may occur as a result of any type of access to the Site or any inability to access it or the credit given to any piece of information coming directly or indirectly from the latter. These Terms & Conditions (and the Privacy Notice & Cookies) are governed by French law. Unless imperative legal provision to the contrary, users and the Company hereby irrevocably submit to the exclusive jurisdiction of the competent courts of Paris (France) any claim or matter arising under or in connection with the Content or use of the Site, including in case of guarantee, plurality of defendants or summary proceedings. Depending on the services provided by the Site and used by you, on your choices and configuration of your terminal (with respect in particular to cookies, tracers and similar tracking technologies), personal data concerning you (your “Data”) collected and processed by Dom Perignon mainly includes: your last name, first name, e-mail address, date of birth, postal address, location of residence, telephone number, your preferences and interests, your connection logs (e.g. IP address), and your nationality when required by specific regulations, as well as the information that you may disclose when you contact Dom Perignon.This Data shall be collected with your express consent. The Data that is mandatory for Dom Perignon to fulfil the purposes that are described above is marked with an asterisk on the various pages of the Site. Should you not fill in these mandatory fields, Dom Perignon may not be able to take care of your demands and/or to provide you the requested services.Other Data is purely optional and allow us to know you better and to improve our communications and services accordingly. Your Data shall be processed by Dom Perignon. It shall not be transferred or made accessible to any third party apart from (i) possible subcontractors of Dom Perignon (providers of hosting and maintenance services of the Site, etc. ), for purely technical and logistical reasons, and (ii) in case of a reorganisation of our Maison, including total or partial transfer of assets, merger, takeover, de-merger, and in general any reorganisation operation. Subject to your consent, your Data may also be shared with other entities of the Moët Hennessy Group worldwide, for the purpose of sending you information about their offers, news and events. Click here to have access to the list of the entities of the Moët Hennessy group. Finally, Dom Perignon may disclose your Data to third parties if such disclosure is required by law, by a regulatory provision or by a court ruling, or if this disclosure is necessary to ensure the protection and defense of its rights. The recipients of your Data may be located abroad, including outside the European Economic Area. Any transfer of your Data outside the European Economic Area shall only take place subject to appropriate safeguards being in place, such as contractual safeguards, in keeping with applicable data protection laws and regulations. In accordance with applicable data protection laws and regulations, you have a right to request access to, rectification or erasure of your Data, or restriction of processing, and to object to said processing, as well as the right to data portability to the extent applicable, subject to any overriding legitimate grounds that Dom Perignon might invoke to retain your Data. Moreover, you may request at any time that we stop sending you information about our offers, news and events by using the hypertext link earmarked for that purpose in each e-mail that we send you. You may also give us specific instructions regarding your Data after your death. The Data that is collected and processed under the “Contact us” and/or or similar section shall only be kept throughout the duration of the processing of your request. It shall be deleted thereafter. 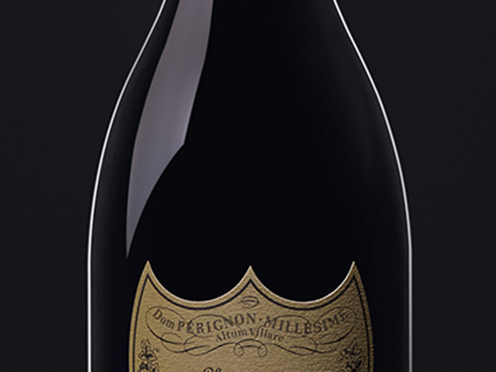 The Data that is used for the purpose of sending you information concerning the offers, news and events of Dom Perignon or Moët Hennessy brands shall be kept for a period of three (3) years as of the date on which it was collected or as of your last contact with Dom Perignon or any such other entity of the Moët Hennessy group. Upon expiry of this timescale, Dom Perignon or any such other entity of the Moët Hennessy group may get in touch with you to find out whether you wish to continue to receive information about Moët Hennessy Dom Perignons offers, news and events. Your Data shall be destroyed within a maximum of 30 days following any request on your part to unsubscribe. Finally, the connection logs that are collected, subject to your consent, using the cookies, tracers and other similar tracking technologies implemented on our Site, shall be kept in accordance with applicable laws and regulations for a period of time that does not exceed thirteen (13) months. For more details, see our cookies section below. 7.1 Cookies – what are they? A "cookie" is a piece of information, like a tag, that is stored on your computer, tablet or phone when you visit a website. It can help identify your device – like your PC or mobile phone – whenever you visit that website. Cookies are used by most major websites, including Dom Perignon’s. To make the best use of the Site, on whichever device you use, you'll need to make sure your web browser is set to accept cookies. 7.2 What are cookies used for? • work with partners and measure marketing. 7.3 So what information is kept by the cookie? These cookies are essential in order to enable you to move around the Site and use its features. Without these cookies, services you have asked for such as remembering your login details cannot be provided. These cookies collect anonymous information on how people use the Site. For example, we use Google Analytics cookies to help us understand how customers arrive at the Site, browse or use the Site and to highlight areas where we can improve, such as navigation and marketing campaigns. The data stored by these cookies never records personal details from which your individual identity can be established. These cookies remember choices you make such as the location you visit the Site from, language preferences, and search parameters such as size, colour or product line. These can then be used to provide you with an experience more appropriate to your selections and to make your visits more personalised and pleasant. The information these cookies collect may be anonymised and they cannot track your browsing activity on other websites. These cookies collect information about your browsing habits in order to make advertising more relevant to you and your interests. They are also used to limit the number of times you see an advert as well as help measure the effectiveness of an advertising campaign. The cookies are usually placed by third party advertising networks. They remember the websites you visit and that information is shared with other parties such as advertisers. For example, we use third party companies to provide you with more personalised adverts when visiting other websites. These cookies allow you to share what you’ve been doing on the website on social media networks such as Facebook and Twitter. These cookies are not within Dom Perignon control. Please refer to the respective privacy notices of the relevant social media networks to find out how their cookies work. 7.5 How long do cookies stay on my computer? Session cookies only last until you close your browser. They are not stored on your hard drive. They are usually used to track the pages that you visit so that information can be customised for you for that visit. Persistent cookies are stored on your hard drive until either you delete them or they reach their expiry date. These cookies may, for example, be used to remember your preferences when you use the Site. 7.6 What can I do to manage cookies stored on my computer or phone? 7.7 What happens if I don’t accept cookies? If you decline cookies, some aspects of the site may not work on your device and you may not be able to access areas you want on the Site. For this reason, we recommend that you accept cookies. Moët Hennessy, located 24-32 rue Jean Goujon - 75008 PARIS (“Moët Hennessy”) attaches the greatest importance to the protection of its Dom Perignons, products, know-how and image. To that end, Moët Hennessy, in parallel and in collaboration with the public authorities, has deployed a number of tools for detecting fraud and counterfeiting, and centralises all the information that it can detect or that is reported to it, concerning counterfeiting and parallel imports, in connection with the Dom Perignons and products of the Moët Hennessy group or concerning any other violation of the rights of the Dom Perignons of the Moët Hennessy group. To that end, Moët Hennessy may from time to time collect and process the personal data of persons suspected of having committed such offences or accused of doing so, or of persons who are witnesses of such offences. This information shall only be kept for the purposes and the duration needed for checking the facts detected or reported, and then, where applicable, for the launch of prosecutions or for the deployment of the means required to put an end to these acts until the final settlement of the case, or should Moët Hennessy decide not to bring legal proceedings, for a term of five (5) years as of the last incident that was recorded. Should you have any question about the collection and processing of your Data by Dom Perignon, please contact the data protection officer of Dom Perignon by sending an e-mail to contactdpo@moethennessy.com. You may also address any complaint to the Commission Nationale Informatique et Libertés (CNIL), 3 Place de Fontenoy, TSA 80715, 75334 Paris CEDEX 07, France, regarding the way in which Dom Perignon collects and processes your Data. Dom Perignon may update this notice from time-to-time by posting a new version on the Site. You should check this page occasionally to ensure you are happy with any changes. Dom Perignon may also notify you of changes to this notice by email. As the access to the Site is governed by Terms & Conditions of Use, Dom Perignon does not collect any Data or information concerning persons who are under legal alcohol drinking and/or purchasing age in their location of residence. Any question about the product range, stores & venues or services? Don’t hesitate to get in touch. Opt out at any time by sending us an email to contact@cs.domperignon.com or using the unsubscription mechanism provided in relevant communications. Please provide your name and e-mail address and the e-mail of the person you intend to share this product information with.